David was courteous and very knowledgeable. He made me feel confident in my decision making regarding my doors. It became apparent, given the age of our doors, that new doors were more economical than continually repairing our 30 year old ones. Normally, I am leery of people selling, but David won my trust and I couldn’t believe the great quote I received on new doors. Thank you for choosing Precision and for the review! Two years ago I purchased a new garage door and opener. We recently purchased another home and the garage door broke. I immediately called Precision and not only did they meet my expectations but exceeded them! Great experience. Showed up in time. Quickly diagnosed the issue and covered it under warranty. I will use them again. Thank you! We value your business. I needed to replace a pair of 20+ year old wooden garage doors. We called Precision Door and they sent out a technician the same day. Jason took the time to listen to what we (my wife) wanted and provided several options making the process very easy. We placed our order and received an installation date. Everything went as scheduled. On the day of installation Scott showed up right on time and ready to go. It was clear Scott had many years of experience installing doors and gave us confidence we chose the right company. We did. The doors work perfectly and really improve the look of the house. We had a great experience and would highly recommend. Thank you so much for choosing Precision and for sharing your entire experience from start to finish. We greatly appreciate your business and that you took time to post a review for others to see. Thank you again! 5 Stars! Prompt and professional....excellent service! Five star rating. Salesman, office staff, technician were professional, courteous, prompt and provided quality workmanship and great customer service. Thank you very much! We appreciate your "5 Star" review and are grateful for your business. Thank you Annice! We appreciate you choosing Precision for your garage door needs. I was planning on getting 3 quotes to replace my garge door, motor, and all other accessories. After a few short communications from Precision and a little information I was able to gather from the salesman about how Precision operates, I knew this was the company I was going to choose to handle the project. Before I even had the price I had a really good feeling that this was the one, of many projects I have going on, that I could leave to the professionals and not have to oversee. The price ended up being less than I was expecting, although I only have word of mouth to go on, since I canceled the other two appointments for estimates. As a small business owner, I spend a lot of time studying how other businesses operate. I am always analyzing the pros and cons of the way people conduct business. I just want to let you guys know that, in my opinion, your company is a perfect model for how any service company should look. And it goes without saying, the final install could not have went better. Thank you for the review. We're always happy to hear about a pleased customer. I am very happy with my garage door and Precision's knowledgable and professional technicians know what they are doing. Friendly and very helpful! You won't be disappointed if you buy a door from them! I got an insulated door, and it really makes a difference. The door opener is very quiet, I noticed that right away. Awesome! Thank you! Thank you for sharing your Precision experience! The insulated door was a great decision on your part. Enjoy the "quiet" and thank you for your business. Thank you for choosing Precision and for the 5 Stars! I must say this company is a 1st class outfit. Jason (sales rep) called 30 minutes before coming over just like the sales operator said. Took time to talk and explain everything they were going to do and how long it would take. After agreeing on a new garage door I was contacted later that day to schedule a install the next week. On the day we agreed on, Rick (tech) called 30 minutes before coming just like they promised. Both of these representatives of this company were professional and friendly. It was a pleasant experience and I would not hesitate to use them again in the future! I am happy with the extremely professional way my service was diagnosed and the product replacements installed. I will call if I ever need service again. Thank you. It is our priority to provide great service-thank you for sharing! Precision Door Service was great. I was able to get an appointment the next day. They were here first thing and very professional. They helped solve our problem without trying to upsell! Thank you for sharing your "Precision" experience! Josh did a great job on installing two new garage door openers. He was very professional. Great decision to use Precision! The salesperson was very knowledgeable and the installer was terrific! Using the Haas website to see the garage doors on an uploaded photo of our home made for an easy decision. Everyone was courteous and arrived on time; it was a very smooth process from beginning to end. Sean is a hell of good worker. very polite and friendly. Finished the job in no time. The door is a little noisy now when opening. Is it because of the new springs? will call on Monday to talk. Thank you for sharing your review. Yes, please call if you have any questions. Thank you again! I have been a customer for a few years. They installed my garage doors. They have replaced my old openers. They are very prompt. They stand behind their guarantees. Friendly staff. Knowledgeable. I am very pleased with the service. Wow! Thank you so much for sharing - we value your business and are glad that you are a pleased customer. Sean and John were here when on time. They looked at the problem and examined the garage. Sean came up with 2 quotes and explained both of them to me. They both did a great job fixing my garage door. They were very professional in everything they did. I will recommend this company to my friends. My installer was fantastic...start to finish 3 hours, and the product is great also. 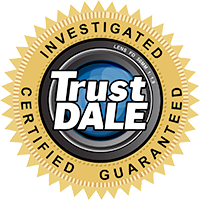 Michael gave us excellent service highly recommend this company we will ALWAYS use them! Thank you, Ron! We value your business and appreciate your recommendation! What an excellent company & any time they come the service is the best, we won't hire anyone else as they do have our five star rating. And we always ask for our same man, as he sure know his stuff & my husband really likes him &my husband is hard to please believe me. Thank you so much for choosing Precision - and we are pleased to hear Shaun takes good care of the customers! Replaced three motors, on time, fair price, professional & friendly tech., no complaints. Will definitely recommend Precision Garage Door!!!! Y'all always do an outstanding job with your work we have been nothing but impressed. Thank you for choosing Precision - we appreciate your business! You're service technician was excellent he did a wonderful job. Very good - thank you for sharing! Thanks for outstanding same-day repair! We called in the morning and our door was fixed shortly after lunch and I was happy with the price.